The habitat that I’ve created in my garden with food, water and shelter has become a safe haven for wildlife. This autumn a few rare visitors have come through that was least expected. Fortunate to be able to come and go throughout the day while I work I constantly keep an eye out to see what I might find. Many times these visitors are there just briefly and it is sheer luck that I happen to be there looking when they appear. It helps that I always keep a camera at the ready which is usually the Olympus OMD EM1 Mark II with the 300mm f/4 prime lens. With a 600mm DSLR equivalent it’s fast, quick, light and with great reach. 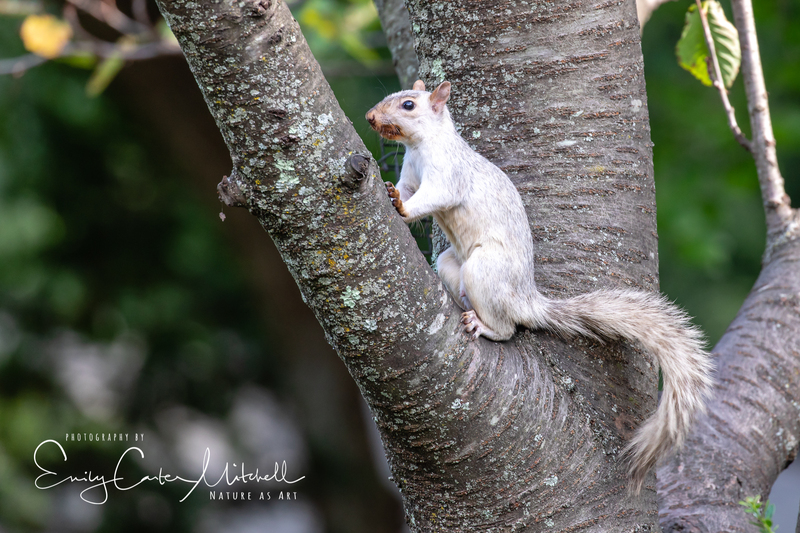 The silver morph Eastern Gray squirrel alas didn’t move into the garden as I think the regular squirrels didn’t like this unusual interloper. 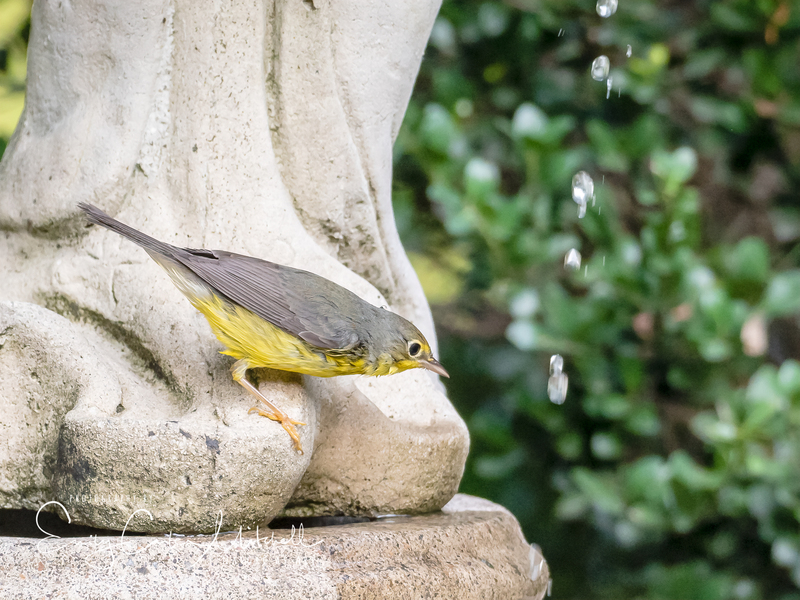 Along with him in the early autumn was a beautiful Canada warbler that stopped for a quick drink of water. 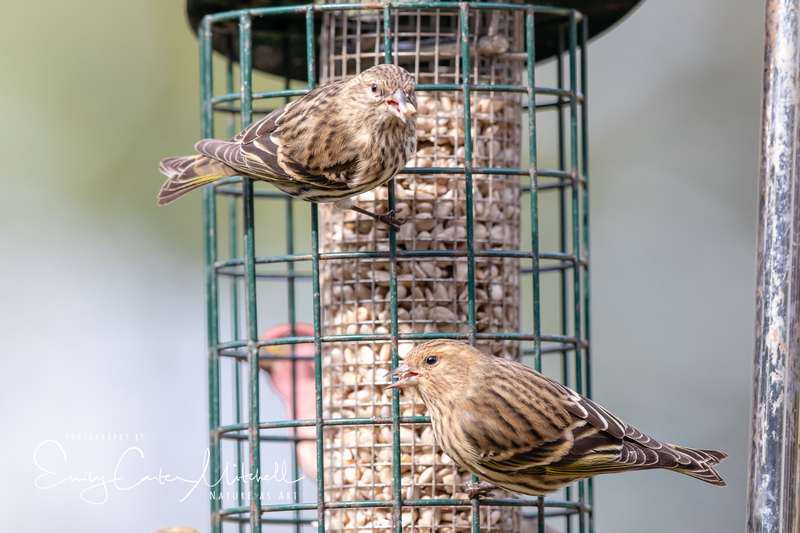 Evidently this winter the Boreal forest in northern Canada has less forage for many finch type birds so Maryland is seeing birds that we don’t usually see. Along with these rarities include Purple Finches. 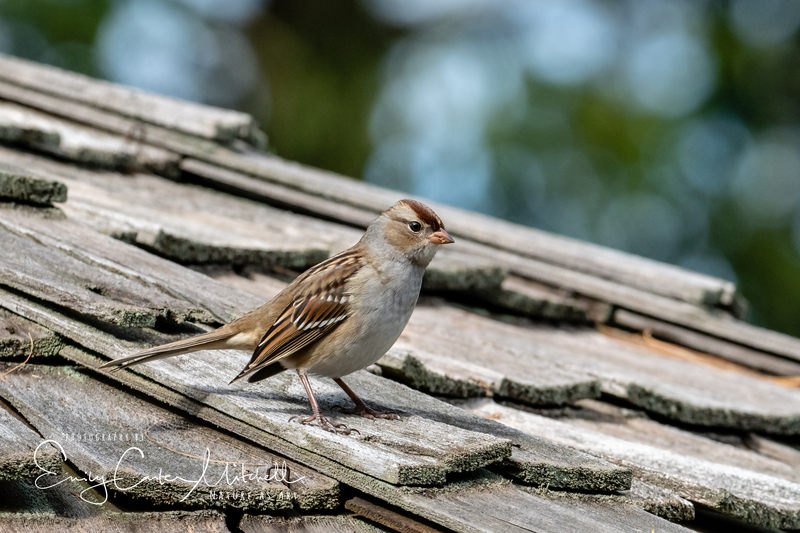 While I sat and watched the Siskins dining and hoping they would land on something other than a bird feeder for just a moment a White-crowned sparrow popped in. It’s been a wonderful autumn so far for these little tweeties and I’m looking forward to having some time to get out and enjoy even more. You truly humble me Pit. If anything, all of you are willing to enjoy these with me. Truly grateful for your friendship and have a wonderful weekend. The Silver Morph is one I’ve never seen. I’ve heard of albinos, but those are just as rare. It ought to be a good year for bird watching at the feeders. I’ve only seen one other silver morph in Ephrata, PA Eliza so it was quite the rare sighting. Oh how I wished he had stayed. I tried to lure him with peanuts with no success. It’s been a great year in the garden. Probably the best I’ve yet to have. Thank you. Thank you for sharing these excellent photos of your wildlife friends, Emily. Although I love the birds, I must say I am partial to that fascinating squirrel! Isn’t that squirrel amazing? I still haven’t seen his return. I wonder where he went as I’ve got a constant food source here. Mystery to continue. Thank you!